Spleen and stomach diseases, atrophic gastritis, gastric ulcer, duodenal ulcer, chronic colitis, liver and gall diseases, thyropathy, chronic bronchitis, cardiovascular disease, lithiasis, rheumatic arthritis, diabetes. Graduated from Liaoning University of Traditional Chinese Medicine, He Yixian is the director of Internal Department of Dalian Hospital of Chinese Medicine, the director of Dalian TCM Research Institute, and the managing director of Dalian TCM Institute. 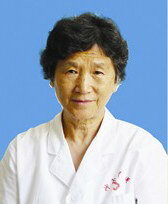 She has more than 40 years` clinical experience.